Preheat oven to 400 degrees F and line baking sheet with parchment paper, set aside. In a bowl stir together breadcrumbs, garlic and onion powder. Add ground chicken, egg and green onions, season with salt and pepper to taste and stir until well combined. Place meatballs onto prepared baking sheet and bake until all sides are browned (it take about 4-5 minutes). 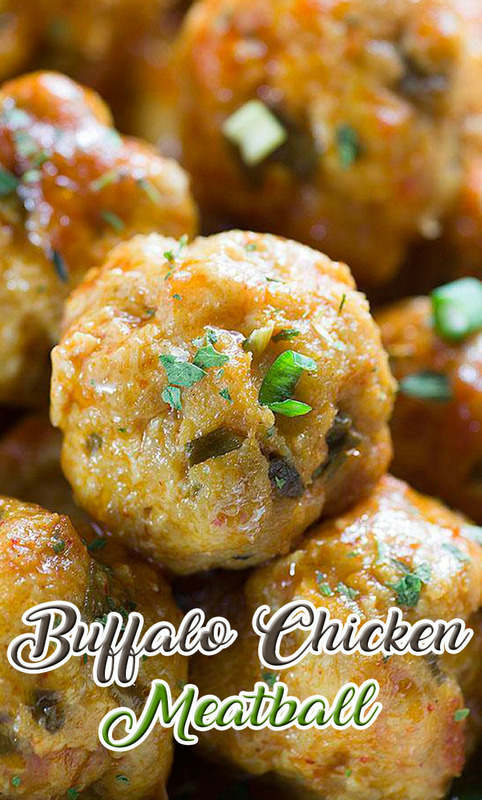 Place meatballs into a slow cooker and add buffalo, gently toss to combine, cover and cook on low heat for 2 hours.